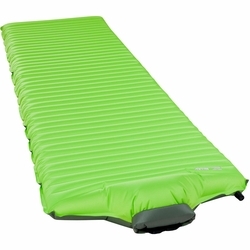 Therm-a-Rest NeoAir All Season SV Sleeping Pad. A Therm-a-rest cult favorite, four season, go-anywhere air mattress just got better. Now sporting the game-changing SpeedValve™, the rugged All Season inflates up to three times faster and deflates instantly. Multiple layers of ThermaCapture™ technology make it one of our warmest and most versatile NeoAir mattresses. Therm-a-rest also added a Regular Wide size to maximize sleep surface without adding length. Stuff sack and repair kit included.